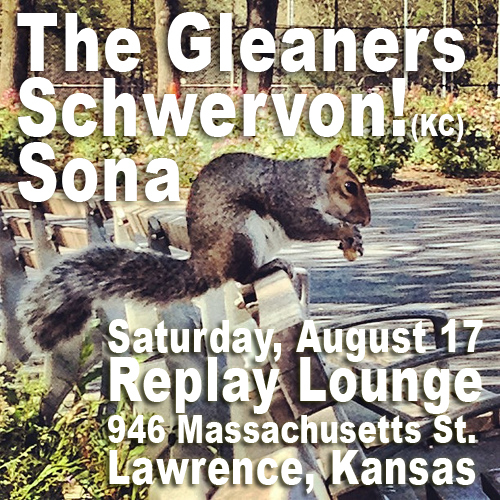 Replay Lounge (Lawrence, KS) this Saturday, August 17 w/ The Gleaners & Sona | Schwervon! This entry was posted in Uncategorized and tagged cars, Indie Rock Couples, Kansas, KJHK, Land Locked, Lawrence, Replay Lounge, Saturday, Schwervon!, Sona, The Gleaners. Bookmark the permalink.